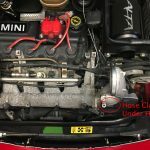 If you’ve been around R53 MINIs long enough, you’re probably aware of the “yo-yo” issue in early models. 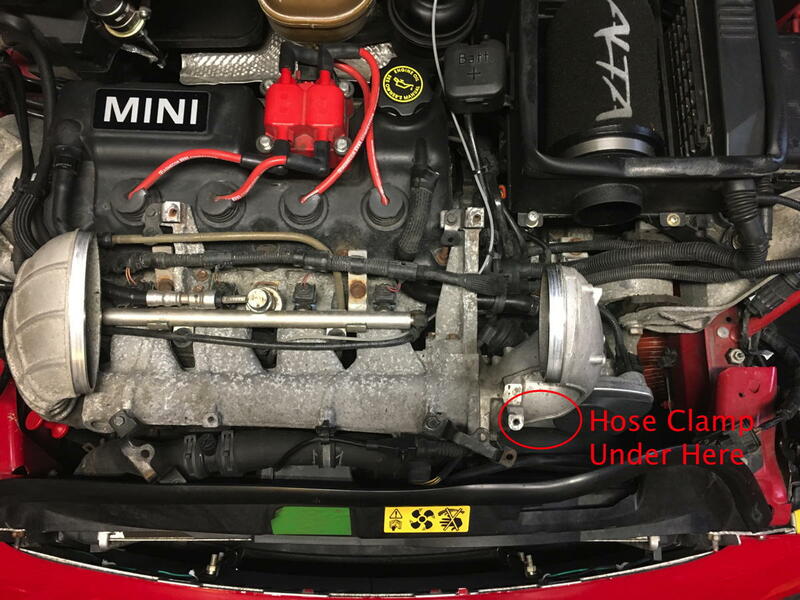 The supercharged MINI engine in first gen models has a valve that allows intake air under partial throttle (vacuum vs boost) conditions to bypass the supercharger as a way to increase fuel efficiency. 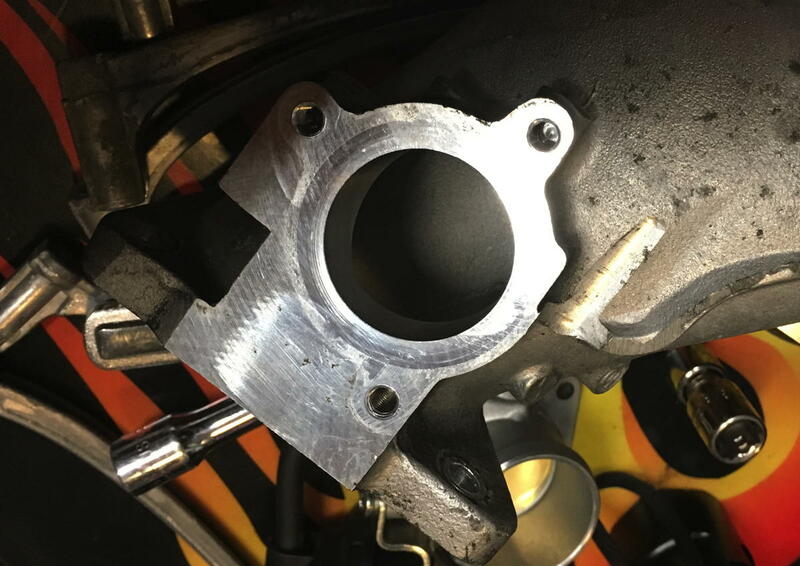 This bypass valve sits under the left side intercooler horn, right behind the throttle body. It has a butterfly valve that is opened by vacuum and closes with a return spring under boost. 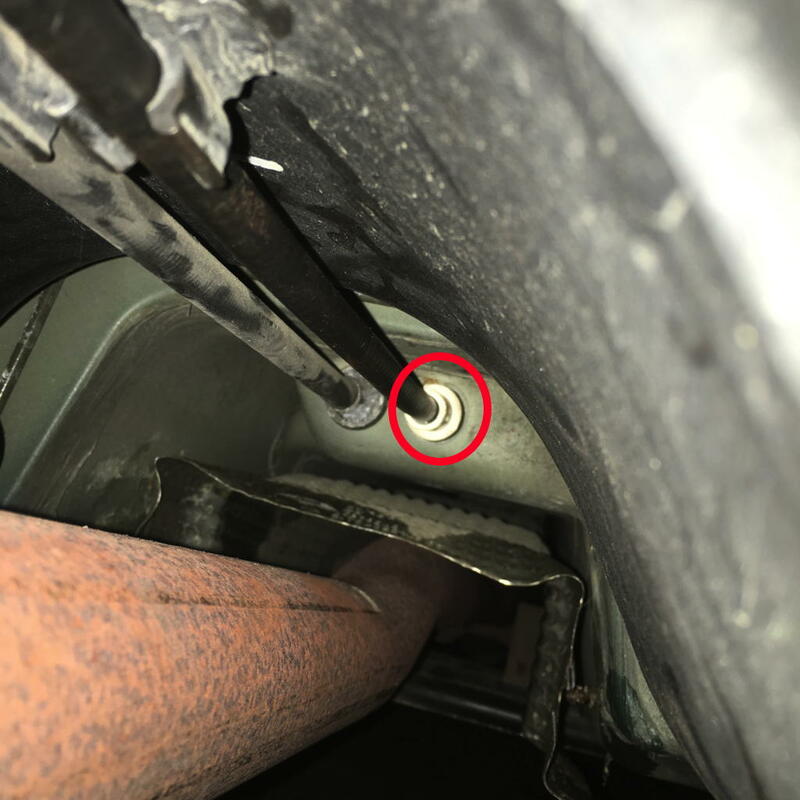 On early model cars the spring was too weak (and on older cars it can wear-out or break) and under the right conditions (moderate throttle at about 3,000 RPM) it would open prematurely resulting in a loss of boost pressure causing the car to stumble. The drive would give too much throttle input and the boost would return, lift again and so on (thus “yo-yo”). 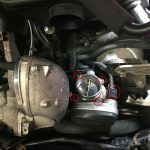 For the most part, MINI fixed this problem through software and hardware changes by 2005, but even some late model cars suffer from this condition, which is why the Detroittuned Bypass Valve remains a popular fix. 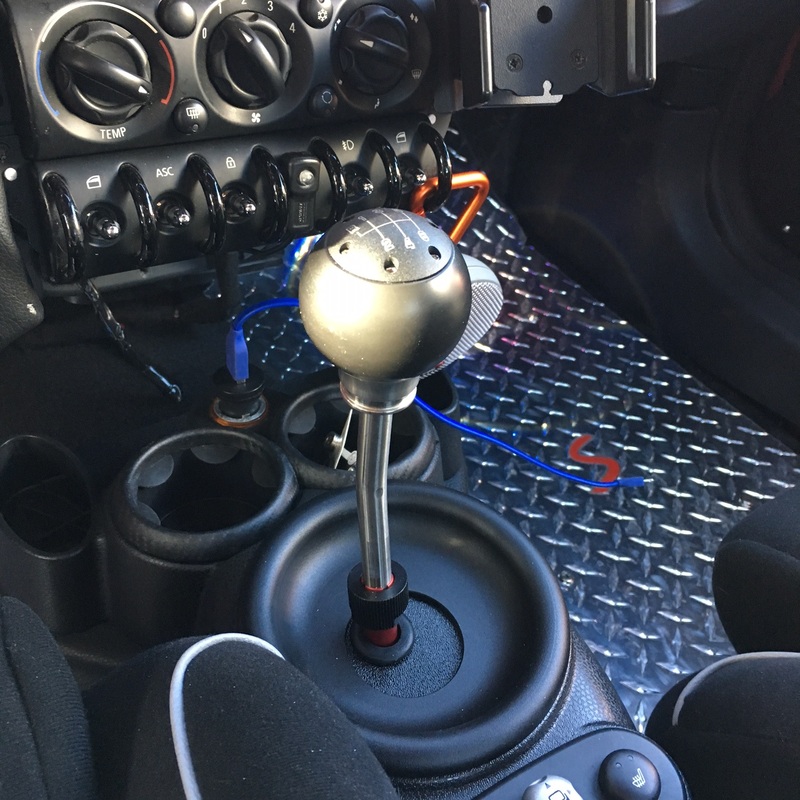 We’ve seen it work miracles on several cars affected with the yo-yo, but wondered if it offers any performance gains for an otherwise normal (modified) car. 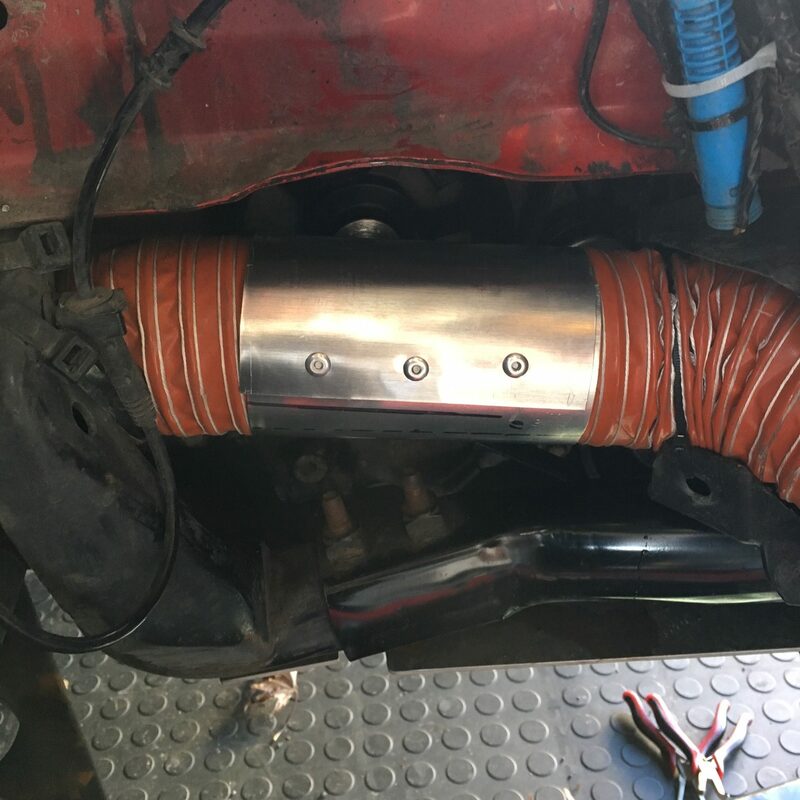 If you are familiar with removing the intercooler and intake tubes, this project should take less than 30 minutes. If not, plan accordingly. Installation is pretty straight forward with the DT instructions. 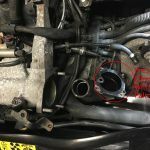 The only confusing part in the instructions is that the order of the photos seems to indicate that you need to remove the complete Supercharger Intake Tube. You do not. They just show it in case you break it. Take your time, and be careful, and you shouldn’t have a problem. 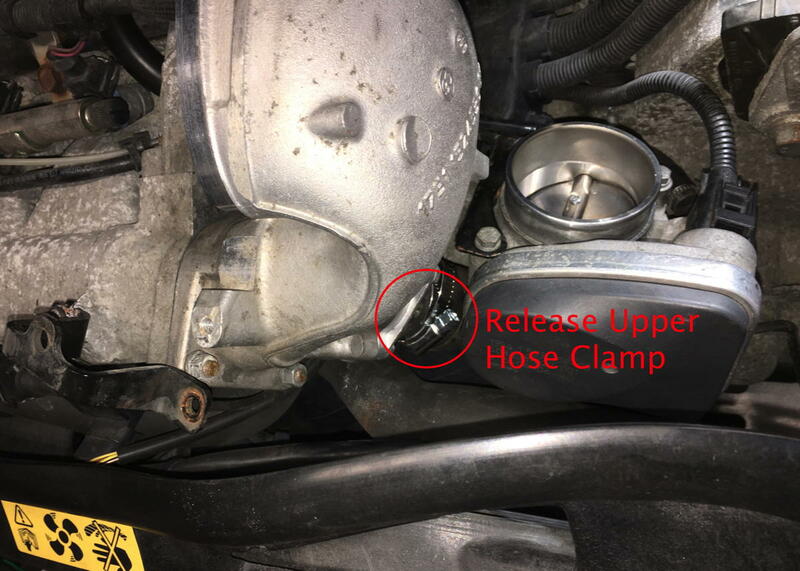 Also, pick up a second #28 Hose clamp. If you remove the short hose completely after step 5 of the instructions, it’s much easier to reinstall the new BPV. 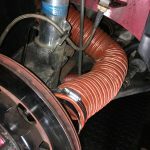 Just attach the short hose to the new BPV first, then you just have to push the hose down on the fitting to secure it. Start with the engine cold and disconnect the battery since you will be working near the positive terminal under the bonnet. Remove the diverter and intercooler. Remove the intake tubes and grille inlet. 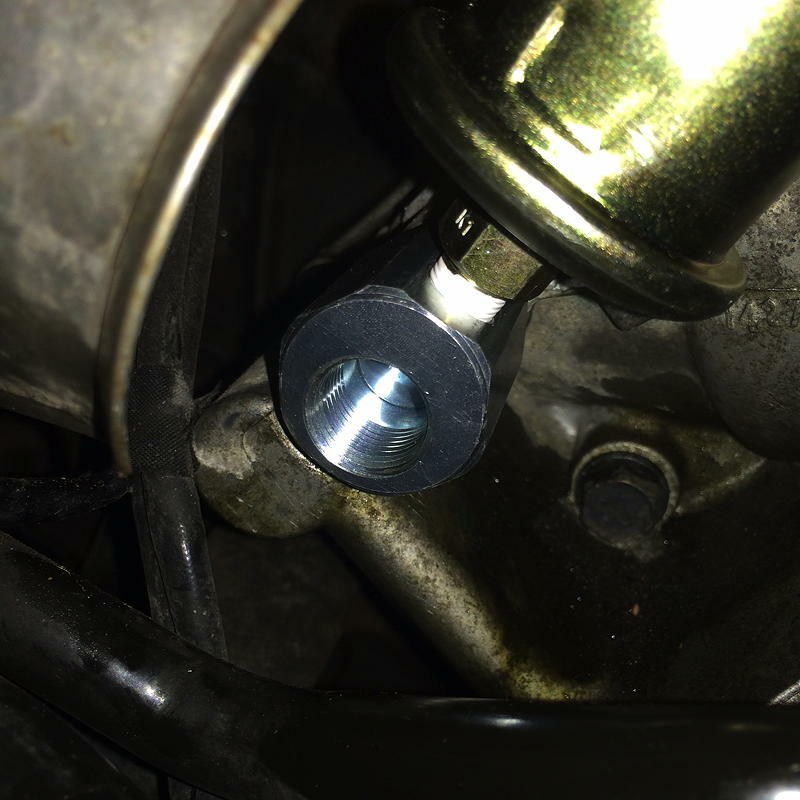 Remove the three 11mm nuts of the horn with a socket and long extension, but don’t try to remove the horn just yet. 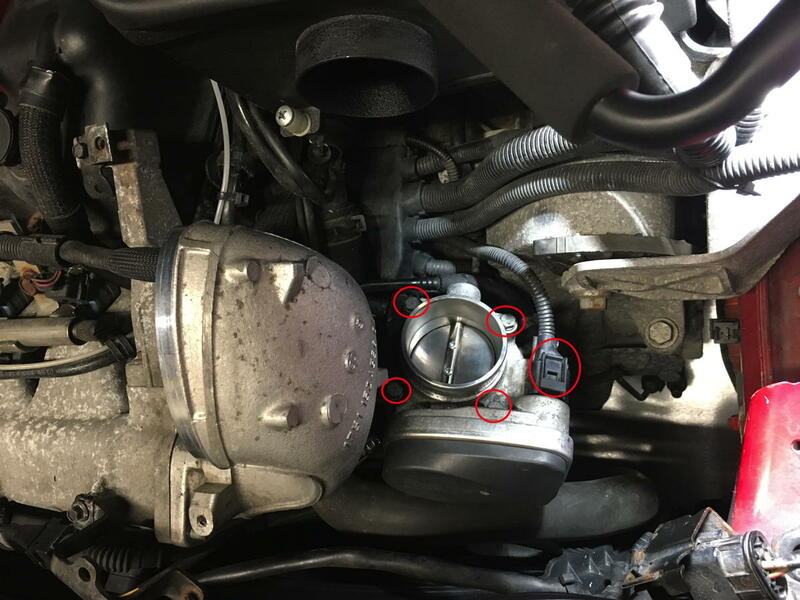 Disconnect the vacuum line going to the throttle body. 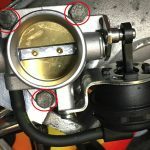 Remove the four 10mm bolts of the throttle body and remove the throttle body. Set it aside and clean it before reassembly. 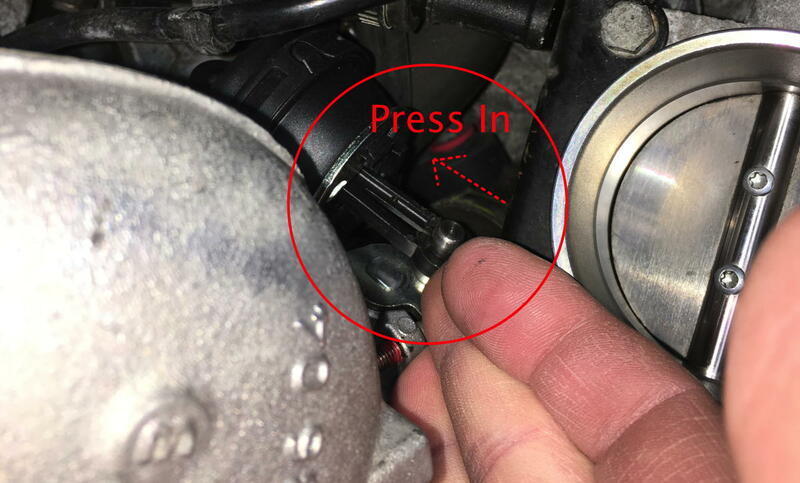 Hold the horn with one hand and gently push down on the supercharger intake tube where you removed the throttle body to separate it from the horn. Only gentle pressure is needed. Once separated, jiggle the horn free with the BPV still attached. Remove the three 10mm bolts and separate the old BPV from the horn. Clean the horn and install the new BPV and tighten the bolts. 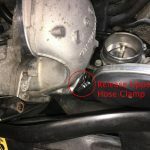 Place the new hose clamp over the hose and reinstall the horn and BOV. 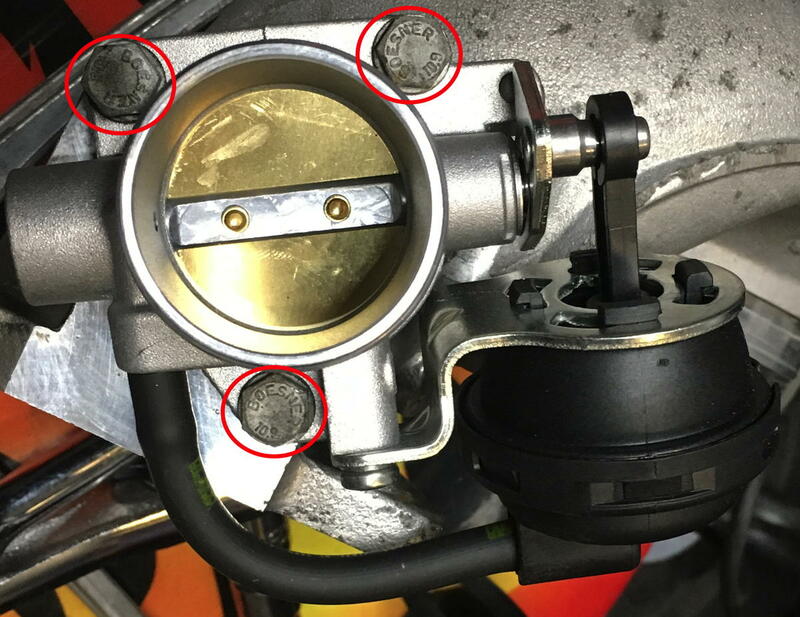 Be careful to clear the throttle body clamp as you work the horn back into position. The rest of the procedure is the reverse of removal. 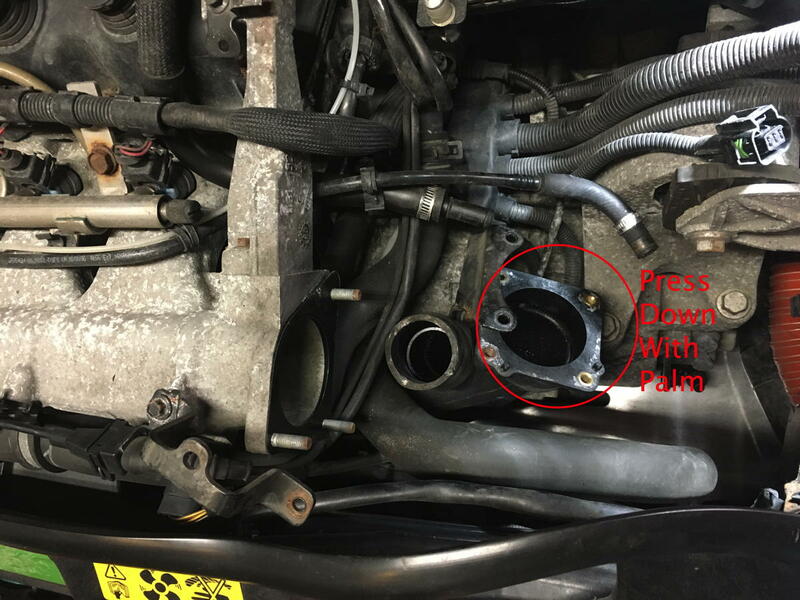 Be sure to check the electrical connection to the throttle body before reinstalling the intake hoses. Follow the DT instructions to reset the ECU. To close out the interior refresh on the trackcar, I installed a CravenSpeed Shift Well Cover this week. 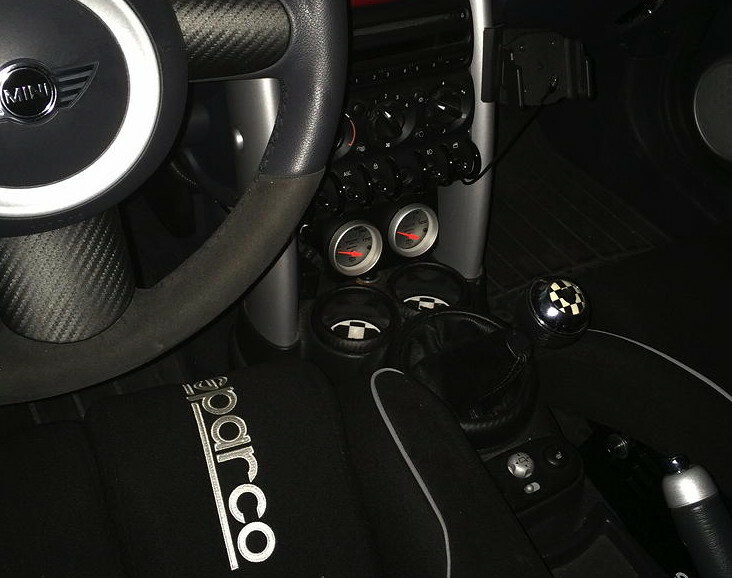 Besides protecting the shifter from accidental damage — it just looks cool. If you’ve installed an adjustable short shifter, the biggest advantage is ease of access to the adjustment lock. Installation is very simple and should be completed in about 30 minutes. 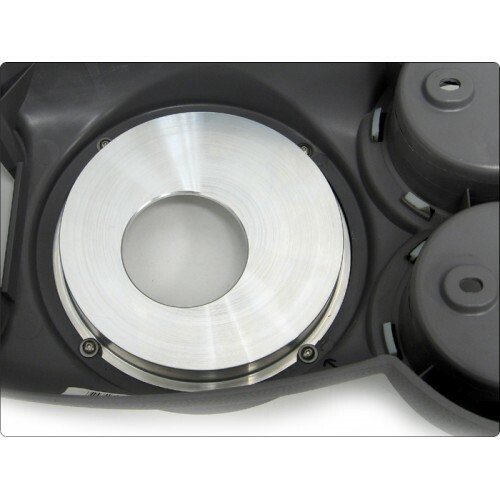 Torx drivers and a trim pry tool are the only specialty tools required. 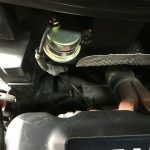 Since the electrical connections to the charger port and the mirror/heated seats switch have to be removed, disconnect the battery before you start. Gently pry around the shift boot retaining ring to free it from the console and invert the boot. 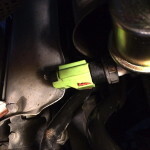 Cut the zip-tie to release the boot and pull it free of the shift lever. 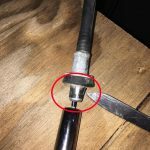 You won’t be using it or the retaining ring again. Remove the torx screws and pull the trim away from the radio console. Gently pry on the mirror/heated seat switch panel. (Six metal retaining clips have to be disengaged. Two on either side and one on each end.) Be careful as you pull it away from the console as the clips may fall out. Note the color and location of each wire connector and disconnect all of them. Now remove the four screws holding down the console. 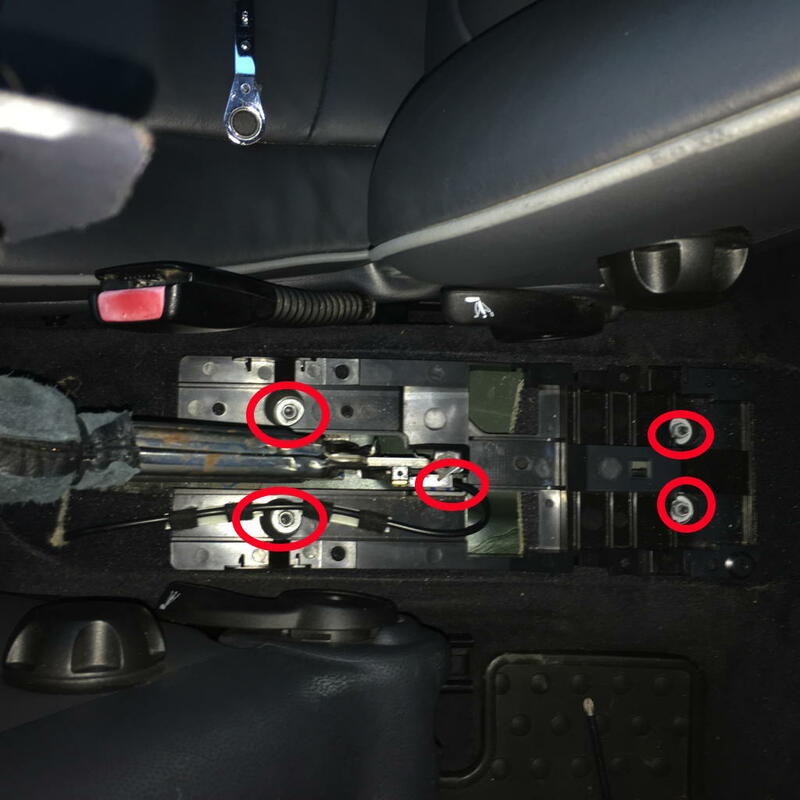 Two are under the cup holders and two are under the switch panel you just removed. Pull up slightly on the console and unplug the socket charger. Pull the console up along the pillars and off. 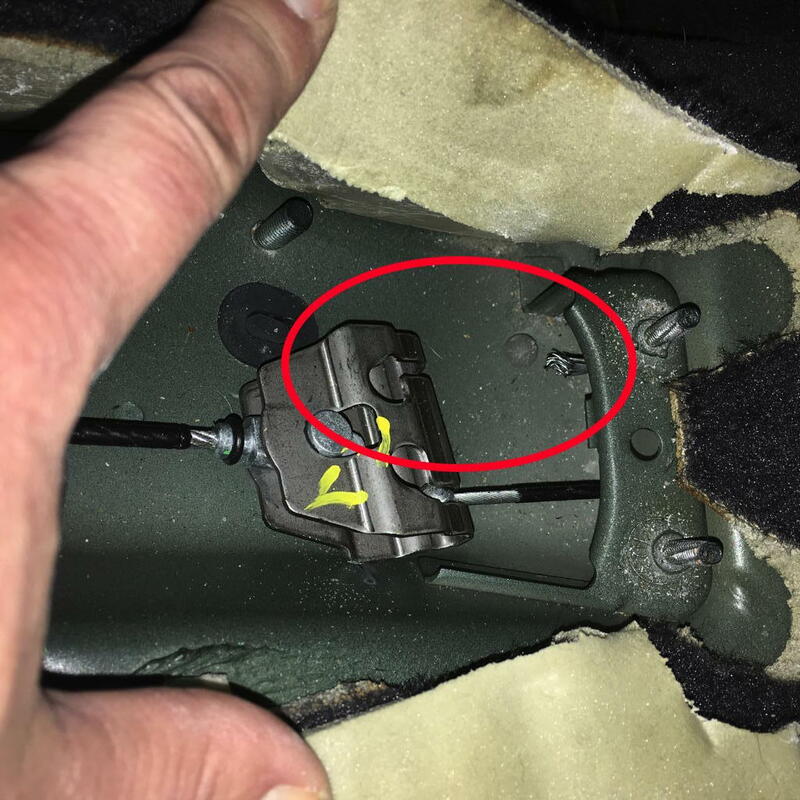 Position the Shift Well Cover as shown in the photo below with the circle to the lower right when the console is upside down and secure with the screws and washers provided. If you have an adjustable shifter, remove the adjustment collar. 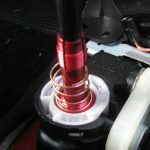 Place the spring over the shifter so it rests on top of the center pivot. 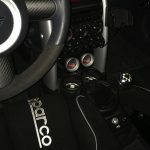 Reinstall the console by sliding it over the pillars and shifter, connect the charger connections, and reinstall the four screws. Reconnect the switch panel electrical connections and press back into place. 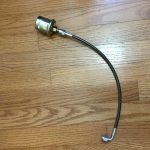 Reinstall the adjustment collar on adjustable shifters. Reinstall the shift knob and reconnect the battery. Official CravenSpeed instructions are here. One day you will pull up on the ebrake handle, and one of two things will happen: 1. Nothing. or 2. It goes almost to vertical before it grabs. If #1 happens, you’ve broken both cables. If #2 happens, you’ve only broken one side. In this post, we’ll walk you through the steps to repair one or both of them. 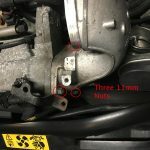 This is not a difficult repair job, but it can be time consuming. You will need to get your car on a lift or jackstands, and you will have to remove the heat-shielding along the back half of the exhaust tunnel. 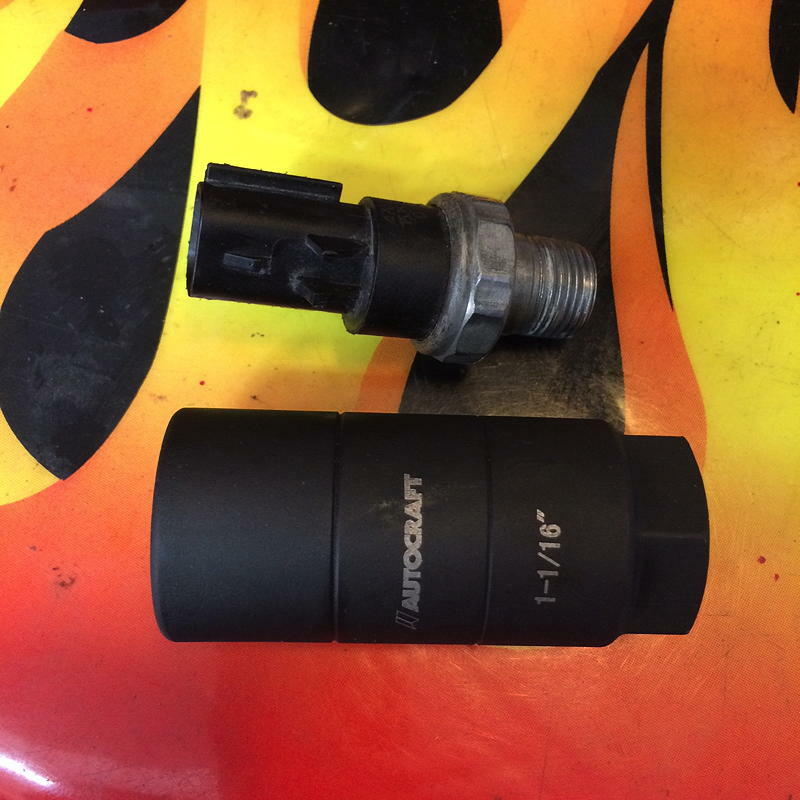 You will need a deep 10mm socket with extension, a 10mm wrench, PB Blaster (or WD40), and a new cable. The cable part numbers are 34406777399 (right side) and 34406777400 for the left side (not interchangeable.) 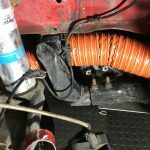 New cables run $30-$50 each. First determine how much of a problem do you have: one or both sides? Take a look at where the ebrake cable attaches to the rear brake caliper. (You may have to put the car on jackstands and take the wheels off to see.) If you see that the end is still attached, but the housing has slipped out of the holder — that gap indicates that the cable is broken. 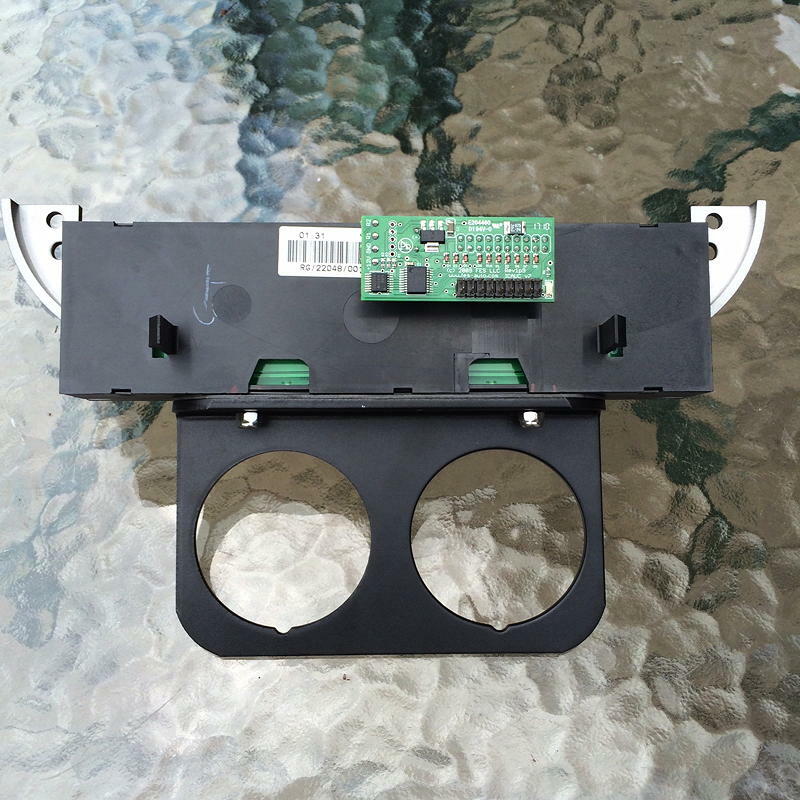 Check the other side before you order parts. In our example, just the right side cable had snapped. 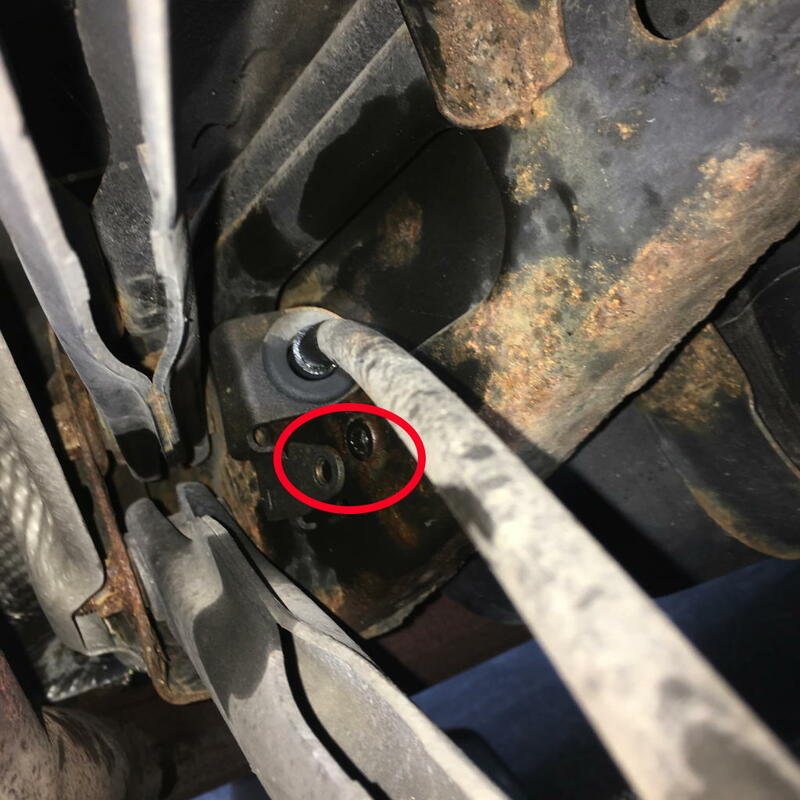 Follow the cable housing back to the subframe and remove the bolt to free the bracket. Continue up along the exhaust pipe as it runs along the tunnel. You will need to remove two screws on the exhaust end of the tunnel, and two nuts in the middle of the tunnel to free the rear heat shielding. Patience is required here. 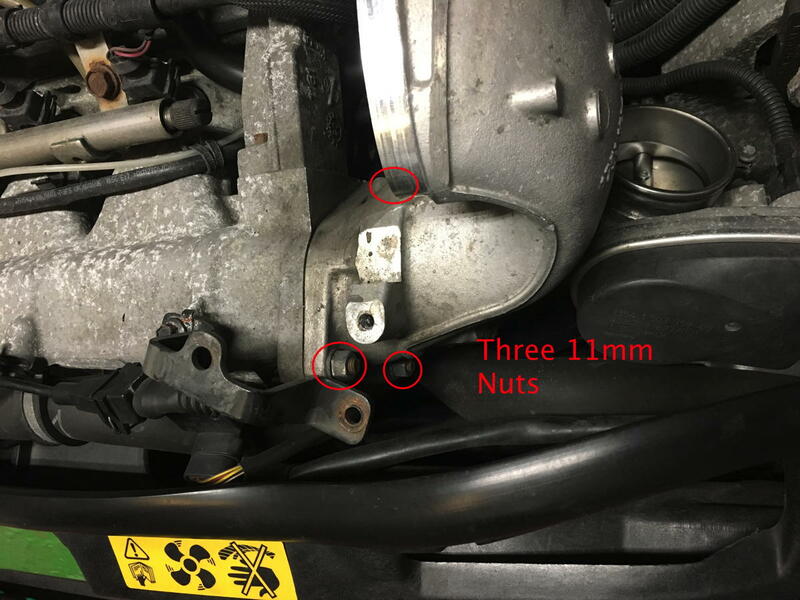 The screws may be easy, but the nuts may be corroded. That’s where the PB Blaster comes in handy. Once you’ve removed the heat shield, note the routing of the cable housing and remove it from the clips. 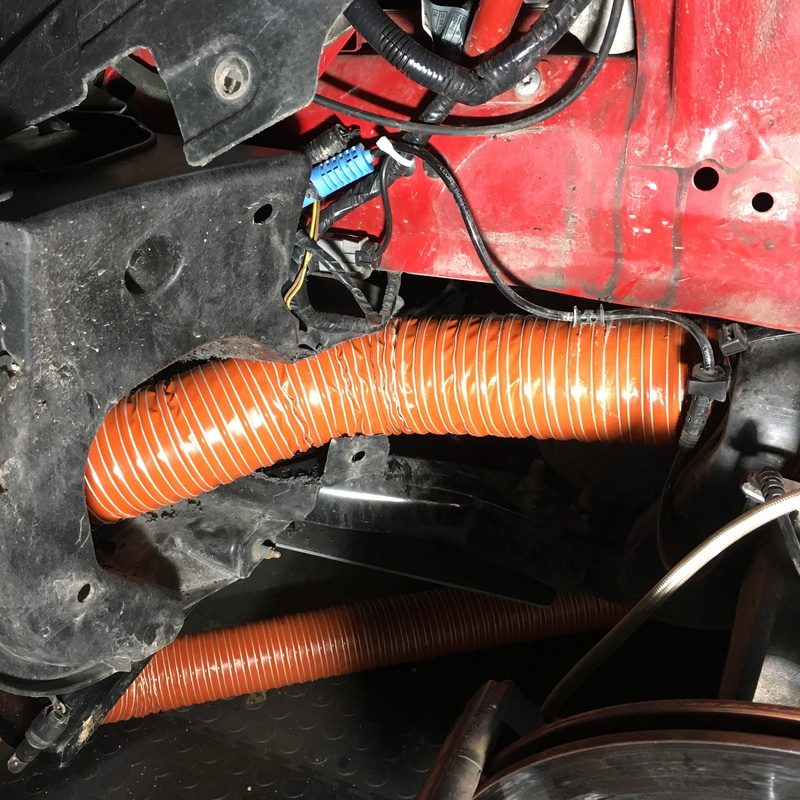 Notice how the cable passes through the chassis into the passenger compartment. Now switch up into the passenger compartment. 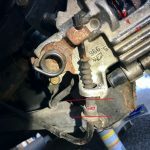 Pinch the ebrake boot and pull up on the frame to remove it from the center console. You just need to pull it free of the console, don’t remove it entirely. This just makes the console easier to maneuver. Gently pry the four corners of the console to pop it off, pulling straight up. This will expose the frame. 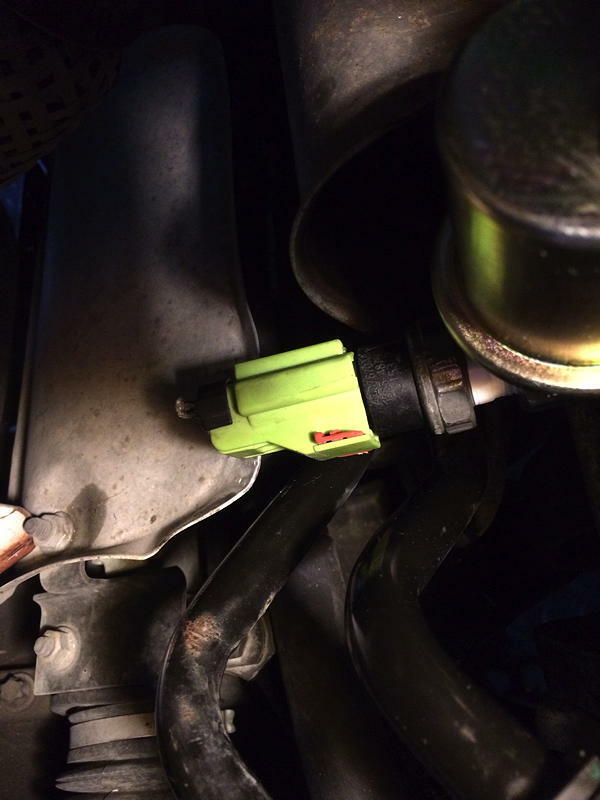 Unplug the wire leading to the handbrake handle and remove the four 10mm nuts. The frame will pull up and out of the way, exposing the junction of the cables. 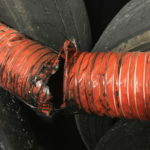 The photo shows how the end of the cable has sheered off. Now take a look at your replacement cable. See the clip on the end? Note how it retains the cable in position once installed. You have to relieve this clip to free the cable. 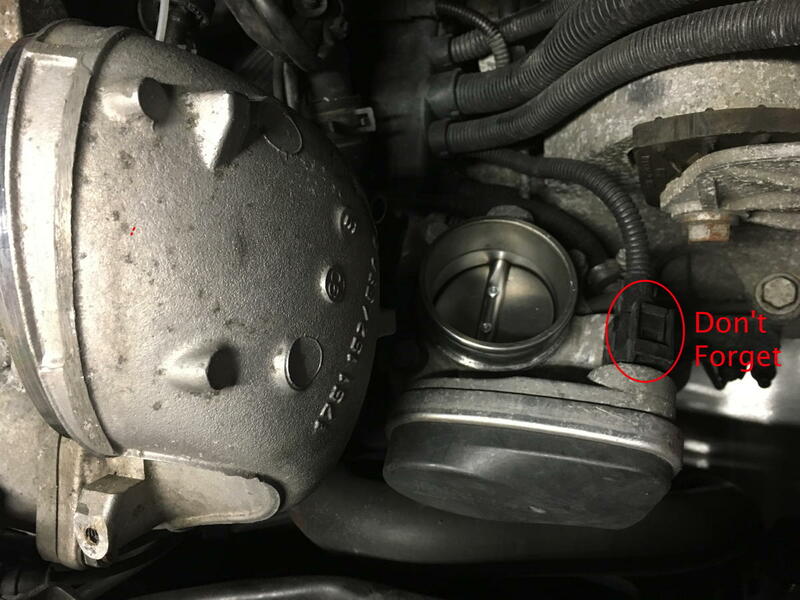 BMW makes a special tool to do just this, but you can use another deep socket instead (7/16 inch in this case, but yours may differ). Just place it over the end and press it over the housing to free the cable. Once pressure is released, it will push free. Now pull the broken cable free from the underside of the car. Release the lever and check that there is no drag on rear wheels. Pull up one notch, check that there is no drag (parking brake warning light may be on). Pull up boot and loosen nut if there is drag. Pull up two notches, check for slight drag and brake warning light should be on. 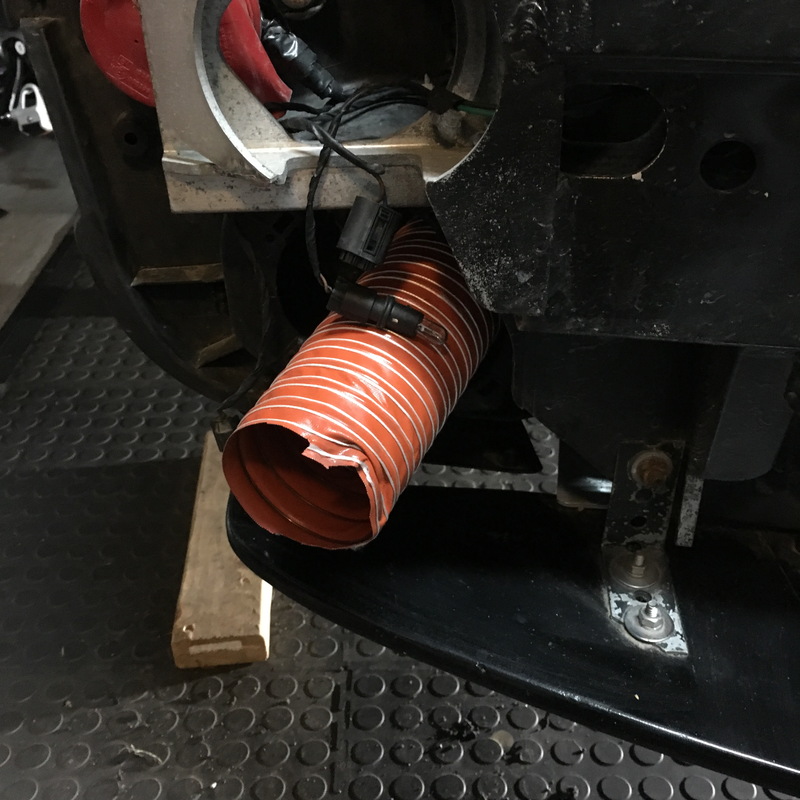 Pull up boot and tighten until there is drag. 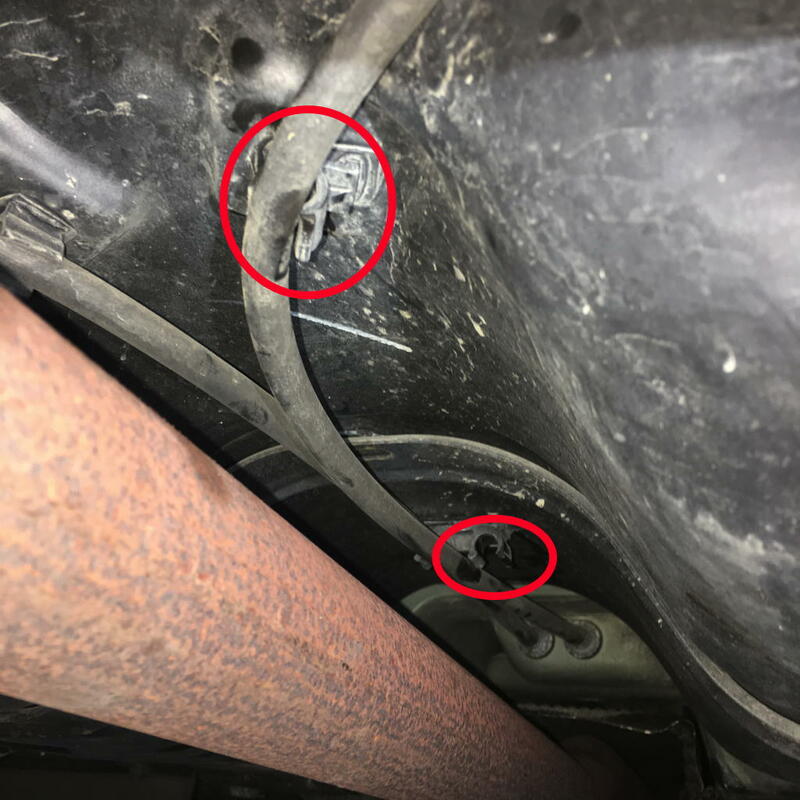 Drive vehicle and pull up on brake handle. Check that the rear wheels lock up. Handle should not pull up more than seven notches and hold the vehicle on a slight incline at with three notches. 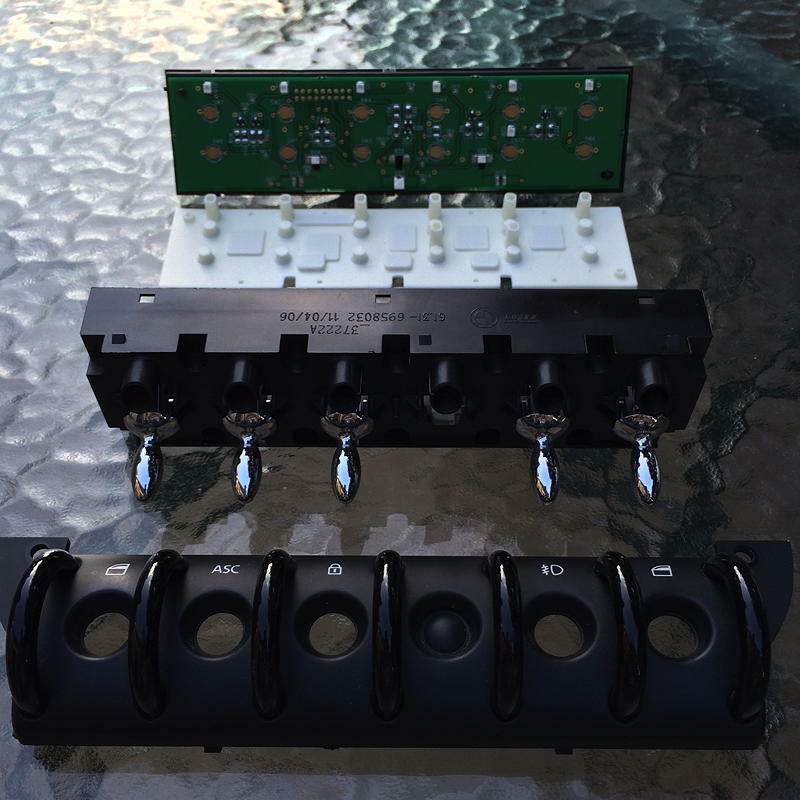 This isn’t a particularly difficult DIY (if you’re patient) but I wouldn’t attempt it if you are not comfortable splicing wires, wielding a soldering iron and/or have especially large hands. We do recommend that you remote mount the oil pressure sender to the firewall instead of mounting it on the engine though. (We went through two sending units before we figured out this tip.) 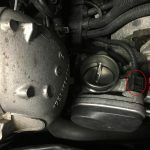 Here’s another tip that will save you hours of time: There is a socket available at your local auto parts store especially for oil pressure senders. It fits senders 1.0625 inches (1 1/16 in.) and is very deep. There isn’t enough room to maneuver a wrench around the sender or use vice-grips — don’t bother to try — just buy the socket. Where do you want to put the gauges? We have done both below the switches and in replace of the radio. 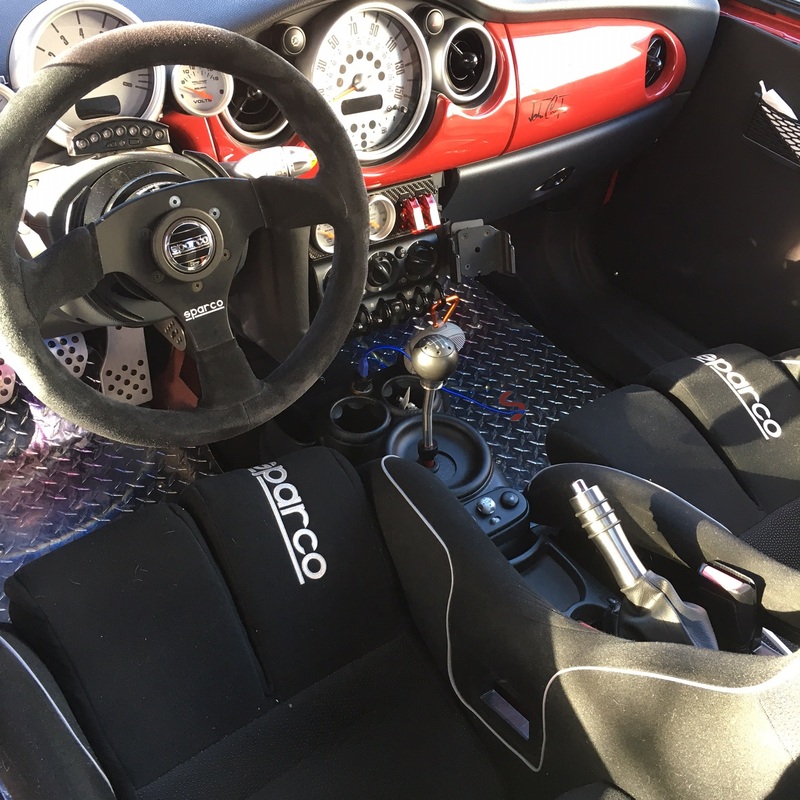 If you have a track-car, the higher radio location is more in line of sight. If you want more of a stock look, go below the switches. Where are you going to tap into power & ground? Where will you pick-up illumination? How will you route wires through the firewall to the temperature and pressure senders? Can I get my hand around the pressure sender to connect/disconnect the wire and thread the tapless-adapter? 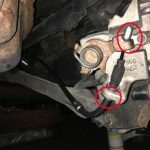 Disconnect the battery ground wire. 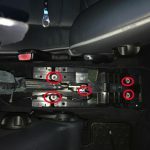 Remove the four Torx screws holding the pillar covers on either side of the center console. You may have to open the glove box to get to the ones on the passenger side. Work the pillar covers loose from the top (dash) so you can see the Torx screws holding the switch panel. The pillar covers do not need to be removed completely. 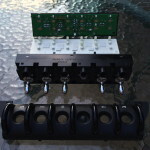 Remove the two Torx screws holding the switch panel to the center console, and pull the panel out toward you. 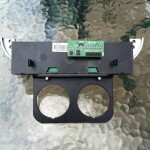 Carefully pry apart the switch panel.Take care not to dump the switch activators. 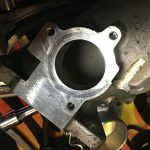 You want to use two of the holes in the bottom of the cover to attach the gauge pod. Use screws and automotive adhesive to attach the pod. Illumination: Light ring around cigarette lighter plug. 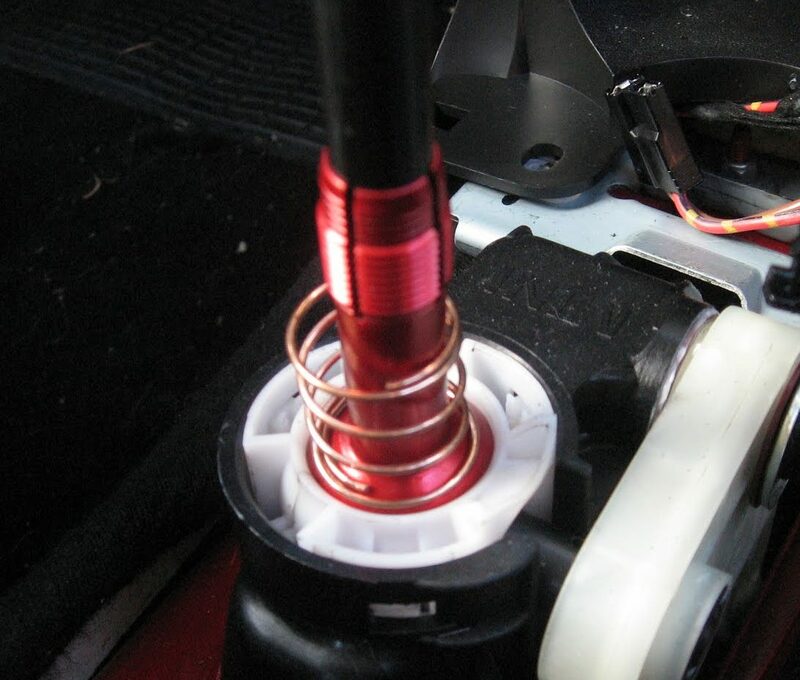 Oil Temp Sender: Choose a color of wire that easily to identify. You’ll need to route it through the firewall. There’s a large rubber grommet above the steering column that you can use a coat hanger to phish through. 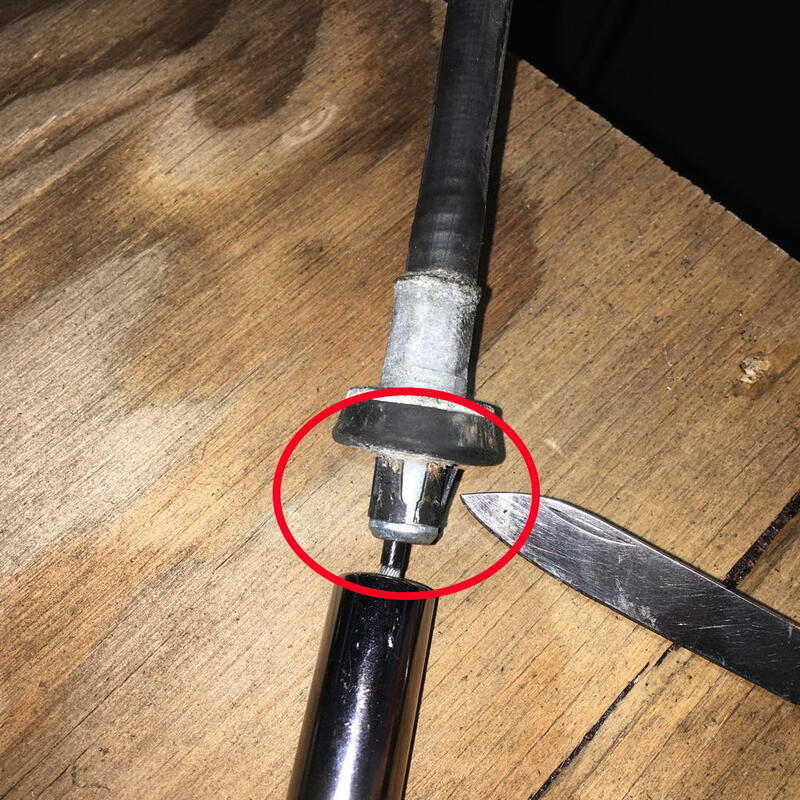 Make sure you make the wire long enough to route it away from heat sources down to the oil drain plug. 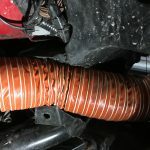 Use shrink tubing or other means of heat shielding if you need to run the wire past any hot parts. Oil Pressure Sender: Choose a color of wire that’s different from the other four. 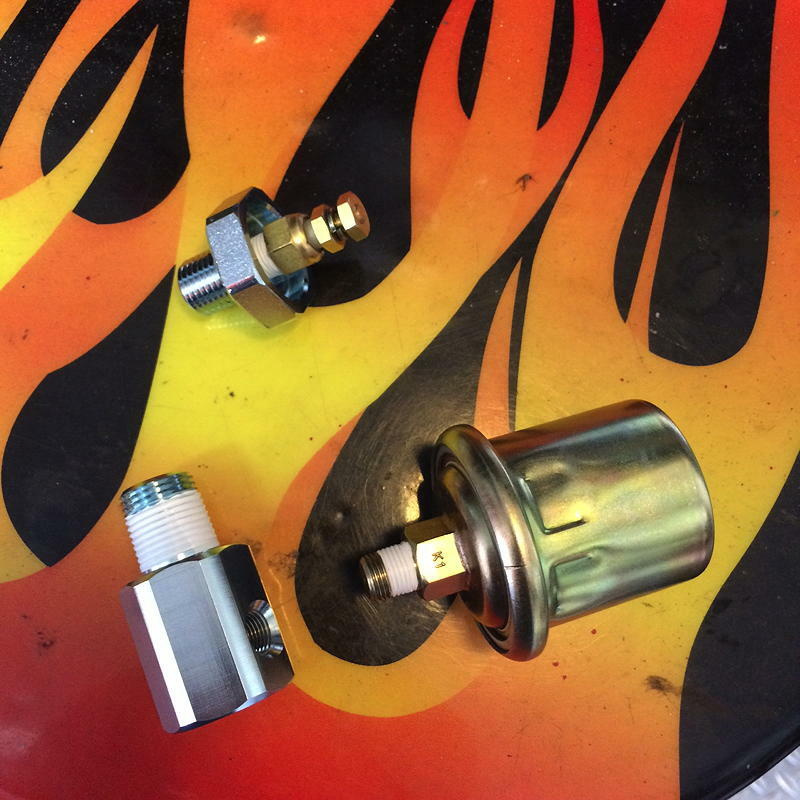 Routing is similar but to the back side of the oil canister. Route it along the cowl inside of the engine bay. 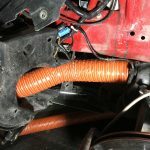 Use shrink tubing or other means of heat shielding if you need to run the wire past any hot parts. Put the car on jack-stands and drain the oil. 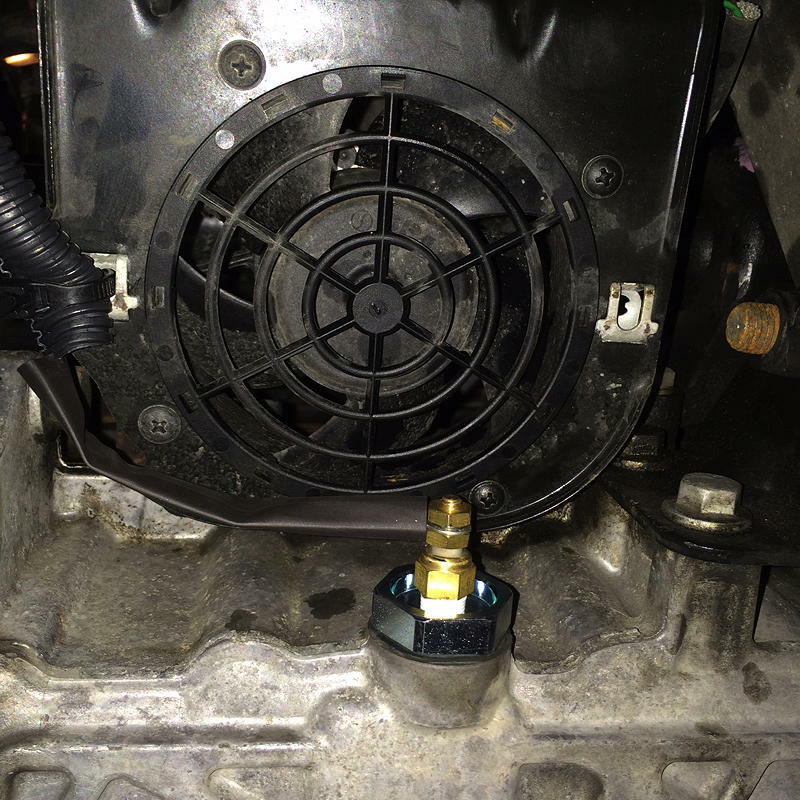 Leave the filter cover off for now so there’s more room to work around the oil pressure sender unit. 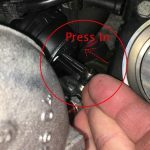 Carefully remove the stock sender with the Oil Pressure Switch Socket. 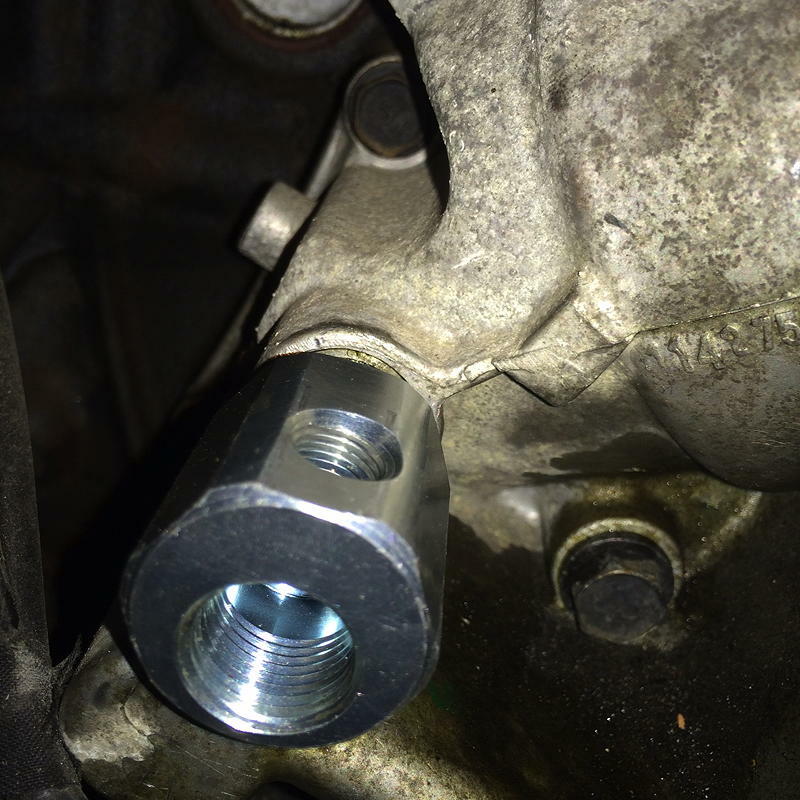 Inspect and clean the threads on the oil pump. Put Teflon tape on the threads of the tapless sender adapter, leaving the first three threads free of tape for a good electrical ground. 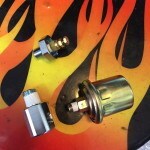 Put Teflon tape on both sets of threads of the Gates Adapter and thread/tighten it before installing the tapless sender adapter. Hand tighten the tapless sender, and then use the Oil Pressure Switch Socket to tighten, following the instructions from CravenSpeed. You want to end with the Gates adapter for the remote line facing straight up into the notch you identified in step 11. Put Teflon tape on the threads of the Autometer sender, leaving the first three threads free of tape. Thread/tighten the remote line to the sender. Hand tighten the right angle end of the remote line to the Gates adapter, and tighten with a wrench according to the instructions. Reinstall the heat shield and ensure it does not rub. Check continuity of the sender wire and the sender unit. Attach the Autometer sender to the firewall and attach the power to the top of the sender. Replace oil filter, o-ring, and reinstall cover. Tighten and check. Put Teflon tape o the threads of the Autometer temperature sender, leaving the first three threads free of tape. Hand thread the sender into the CravenSpeed Sender Adapter and tighten according to the instructions. Inspect the Sender Adapter and ensure the O-ring is in still good. Thread the Sender Adapter and tighten according to the instructions. 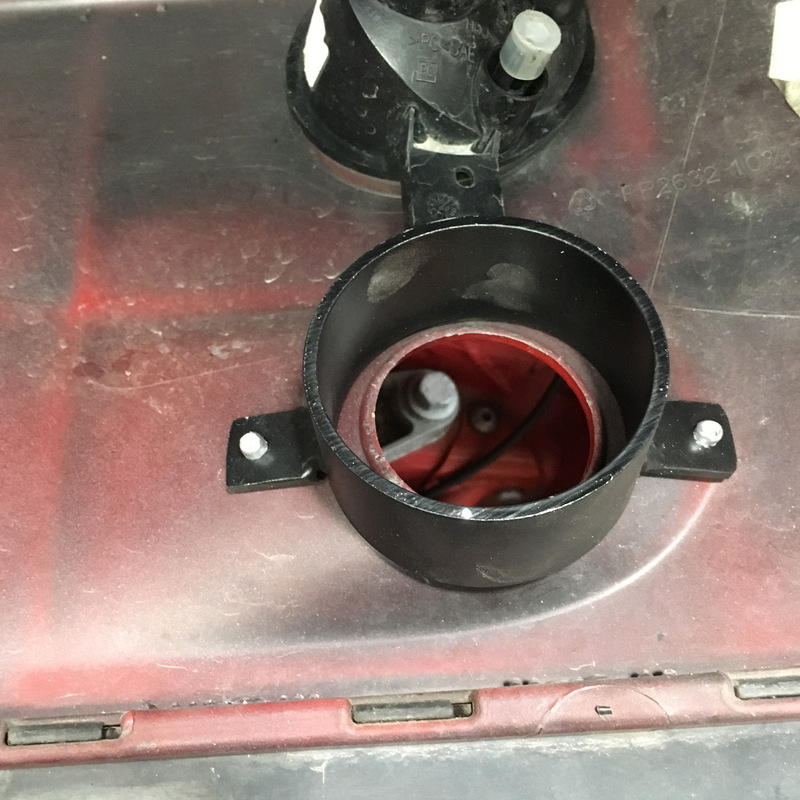 Attach wire to the Autometer sender. 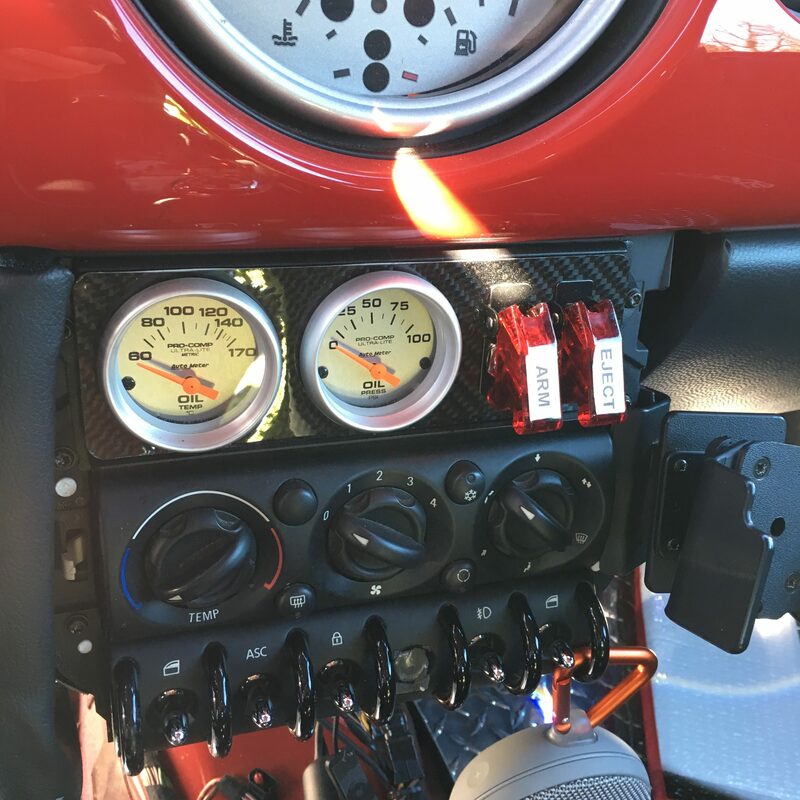 Hide all wires in the dash as appropriate and run through the openings to the gauges for a test fit. Connect all of the wires as appropriate. Turn the key to the first position and turn on the headlights. The gauges should be illuminated and the needles should move from the resting position. 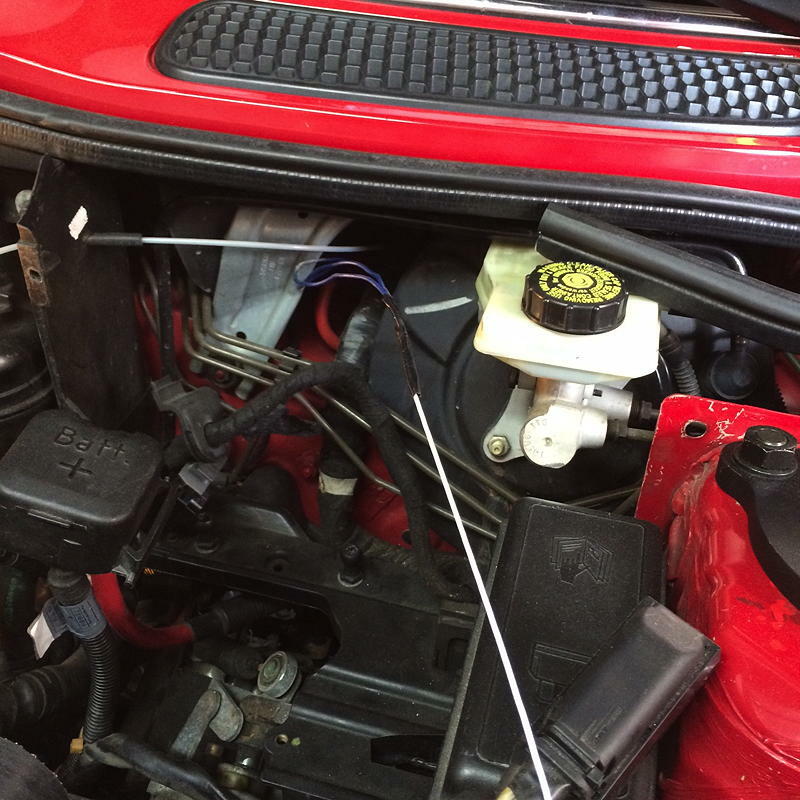 Start the car and the oil pressure gauge should be working correctly. Turn off the car and check the oil level. Fill as needed and restart the car. Let the car fully warm up. The oil temperature gauge should move when warm. This may take 10 minutes even after the coolant is up to temperature. 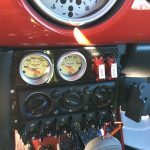 Shut-off the car and complete installation of the gauges. I finally got around to installing the brake ducts and hoses that I bought last summer. For the most part, the switch to Wilwood calipers and ducting into the wheel well solved my brake temperature problems during short track sessions of 25-30 minutes. But for longer sessions of 45-60 minutes or more, especially during hot, humid days, I was still having heat management issues. Oddly enough, not with the rotor or caliper, but with the ABS sensor in the carrier, which would turn off ABS mid-session. Installation is fairly straight forward. 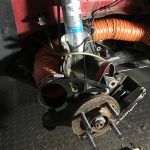 You want the straightest possible routing for the hose that doesn’t pinch or rub against other moving bits (like the crank pulley, axle or serpentine belt.) You have to cut away a fairly substantial chunk of the front panel to create a path to run the hose behind the wheel well liner. (Try to save the tab to mount the liner.) 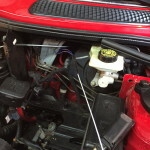 Use Zip Ties to keep the hose tight against the frame rail. Be sure the hose is long enough for full travel of the steering. Also be sure to leave enough hose to facilitate mounting of the bumper cover. 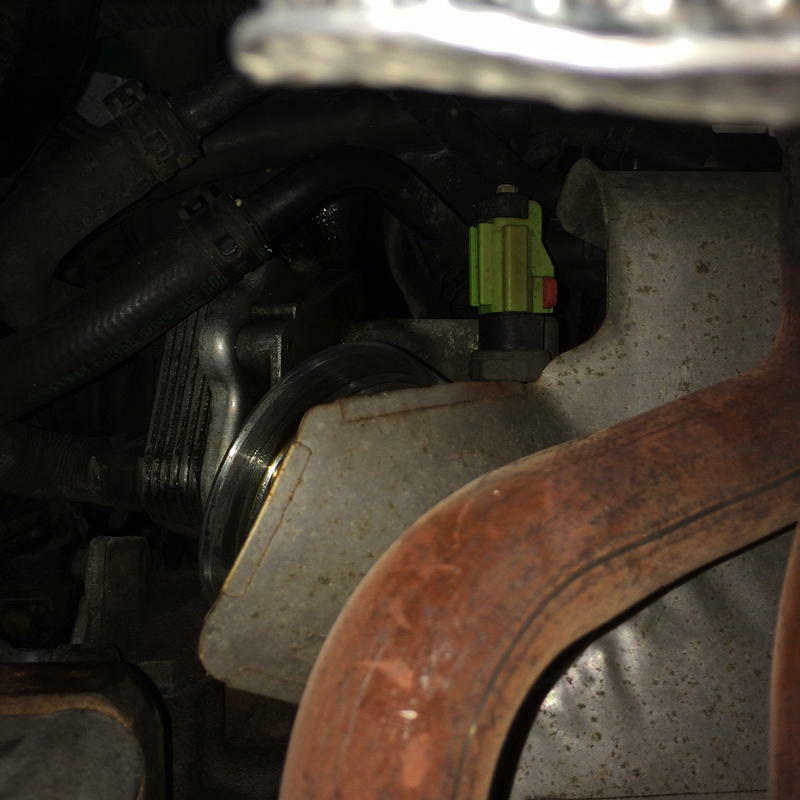 You do have to remove the brake caliper and the rotor to mount the bracket to the carrier. 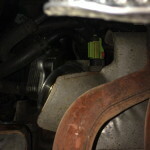 Sneed’s brackets are designed for stock rotors (stock Cooper S or JCW). 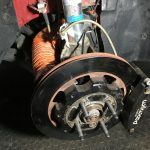 If you are using an aftermarket caliper and rotor like the Wilwood’s I used, you may have to make some adjustments to get the to fit without binding. In my case, it just took a little persuasion (with a hammer) to get the brackets clear of the rotors. 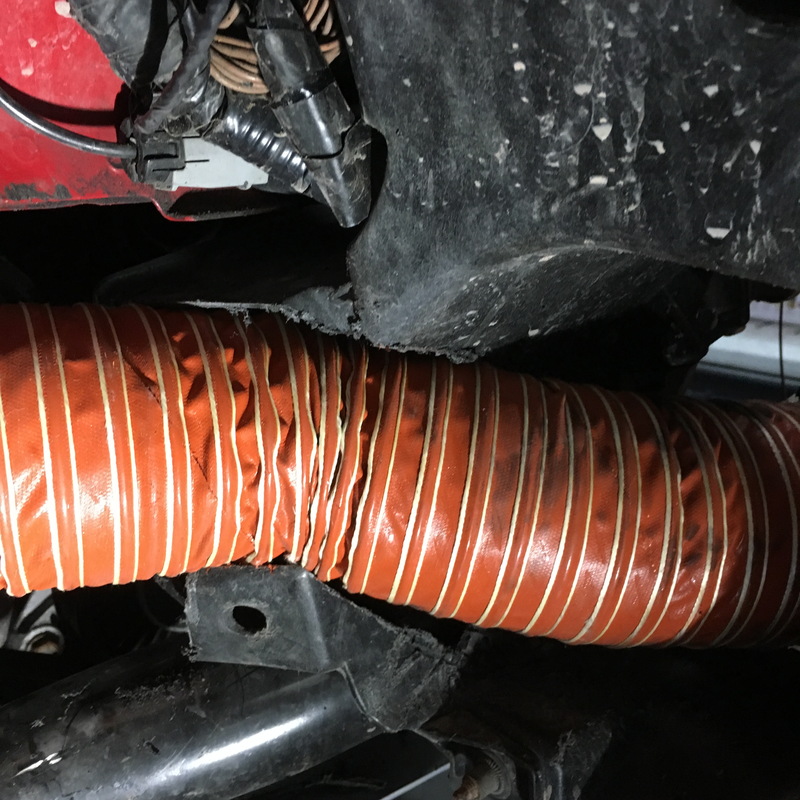 Update #1: When I pulled the liner to check the brake hose after a couple of months, I found out it was getting pinched between the liner and the crank pulley, so I wrapped it in an aluminum sleeve. 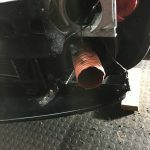 Update #2: After a weekend of hard driving on the track with PCA Potomac at Summit Point, I found that I crushed the duct between the axle and subframe. 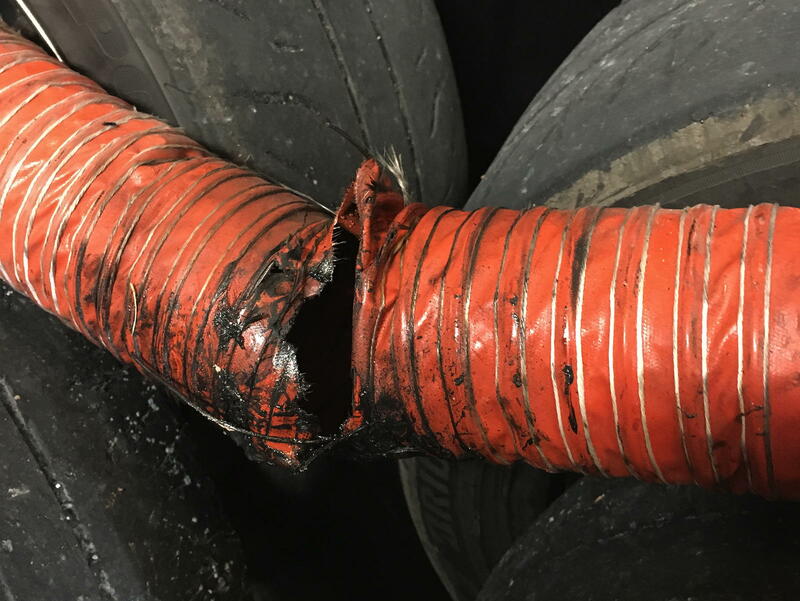 The exposed wire shredded the CV boot. 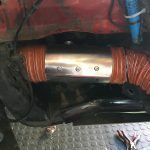 Trying another sleeve, but may have to go to smaller diameter hose. Will see how this holds up at the Shenandoah Circuit in a couple of weeks.